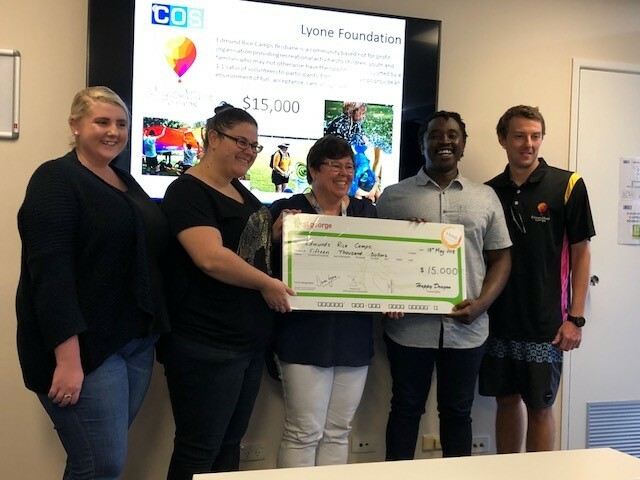 The Lyone Foundation are delighted to support the wonderful work of Edmund Rice Camps Brisbane, donating $15,000 to enable disadvantaged youth to attend their 5 day recreational camps. Young adults volunteer as ‘big buddies’ and are matched with a child for the week as their mentor, and best mate. The QLD camps are held in 3 locations – the Sunshine Coast, Kallangur and Mount Tamborine. Run during school holidays they provide opportunities for young people to develop supportive healthy relationships as well as their self-esteem, life skills and well-being. An important aspect of the camps is to create an environment of acceptance and fun!